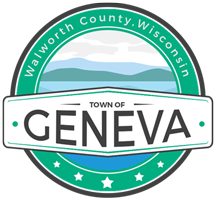 The Town of Geneva Board consists of a Chairman and four Supervisors elected at large for two year terms. Elections for the Chairman and Supervisor 1 and 2 positions are held on the odd numbered years and the Supervisor 3 and 4 positions are elected on the even numbered years. The Town of Geneva Planning Commission serves our residents as an advisory body to the Town Board. The Town Planning Commission contains seven members being Chaired by Joseph F. Kopecky and additionally composed of citizen members Jim Anton, Gary Cocroft, Pauline Malsch, Vice-Chair Phyllis Olson, Jim Thometz and Dave Van Lue. The Planning Commission hears matters of lot division, property rezone, conditional use and variance, property condemnation, tree removal, et cetera at its regularly scheduled monthly meeting. Typically a sign is then posted on the property involved to notify the public that an issue is being considered regarding a change in use relative to the posted property. The Commission then holds a public hearing on the request at the next regularly scheduled monthly meeting and entertains motions and votes on a recommendation relative to the request which is then forwarded to the Town Board for action. The Town Board would then consider the Planning Commission recommendation on the request at the next regularly scheduled Town Board meeting and votes on their own motion relative to the request which would then typically be forwarded to either the County Zoning Agency or one of the two Extra-Territorial Zoning Boards for further action as appropriate. Applicants must appear in person before the Town Planning Commission and Town Board with their request. Please contact Planning Commission Secretary, Mary Van Lue (262) 248-9513, at least two weeks prior to the Planning Commission Monthly Meeting to be included on the Agenda for discussion.